POLYMER BASED non-reactive coating materials which makes thin film barrier on the surface after dry. Due to the formation of RXSOL THIN barrier film on the surface, the cleaning operation after unloading becomes quicker and easier with optimum results. Slip coat Hold Block supplier in Manglore, Mumbai, JNPT, Surat, Kandla, Mundra, sikka, Jamnagar, Kolkata, Haldia, Paradip, Vizag - Gangavaram, Kakinada, Chennai - Ennore, Dubai, Fujairah, Sharjah, Middle East - UAE. Slip coat also available in 25, 50, 210 Ltrs DRUM. If hold cleaning is to be performed from tank top level only powerful equipment designed for cargo hold cleaning will do the job in a minimum of time. 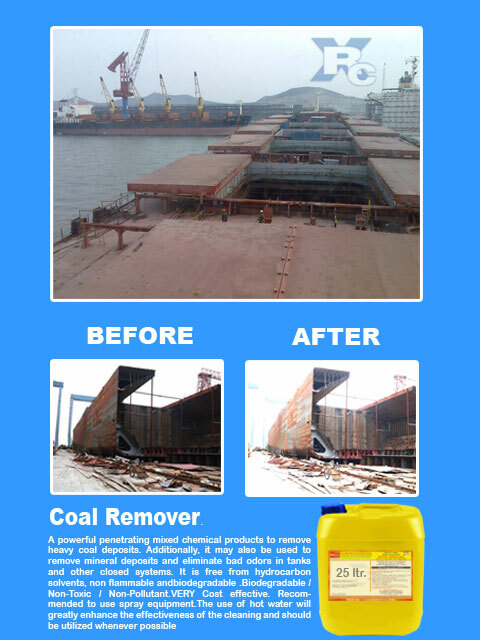 Ship hold protective layer coating chemicals. Polymer based water soluble slip coat is easy to use. There is no any special technical method required to applied on hold surface. Simply dilute the slip coat with water and spread on entire hold area from top to bottom side. Extra liquidcoming towards bottom can be recollected to cover uncoated area. Simple spray method is helpfull to save time of application. NOTE - Before application of slipcoat clean entire hold surface area and make sure dust free. 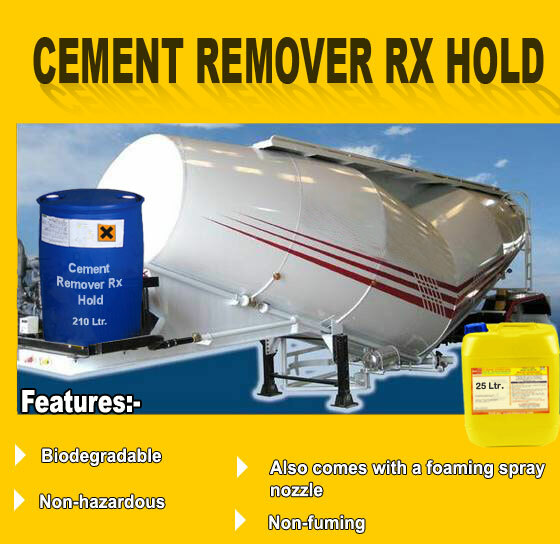 Slip Coat formulated to perform maximum protection to wards hold surface during transport and save lot of time during unloading operations as cargo doesn't adhere towards hold surface. After unloading of cargo when Aquatuff High Foam is applied to slip coat treated hold surface all cargo residue get off without any extra manual force requirement. Slip Coat RXSOL HOLD BLOCK is a Heavy Duty protective Solution for hold of vessels which carrying corrosive and / or messy cargos such as Sulphur, Salt, Petcoke, coal and concentrates. It can be easily removed after discharging of cargo . $ Protects metal against corrosive cargo. $Safe on all coatings, and to the personnel handling it. $ Protects paint against cargo penetration. $ Safe to use in occupied / covered areas. $ Reduces turn around times . $ Easy to Direct Spray. Other Important materials , which help to control corrosion on metal surface. Chemically SULPHUR producing STRONG acid in presence of moisture under excess of temperature, Freshly prepared acid during the reaction rapidly damaging steel surface. This can be prevented by ACID neutralisation method. RXSOL BILGE COAT is specially meant to solve this issue. For more details of product, You may click here to know more details about product and usingprocedure. 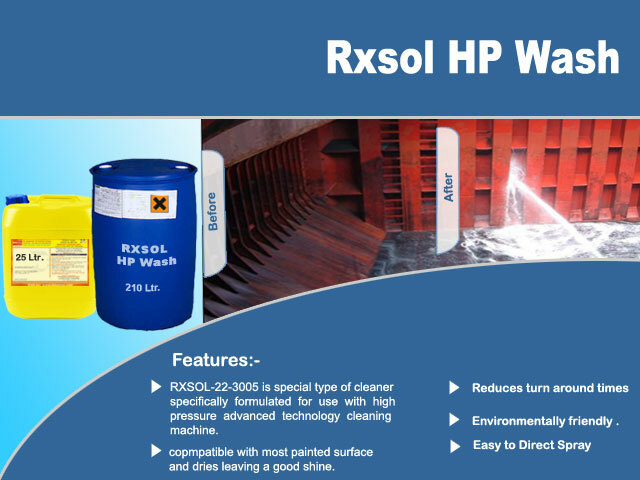 RXSOL Bilge Coat (Sulphur Acid Neutralizer) Acts as Acid Neutralizer formed during sulphur voyages. Before loading of cargo slip coat paint/film can be wise decision to save time for next cargo. As slip coat hold block acts as the barrier film in between cargo and holds surface, So deposition of cargo directly on hold is not possible, and it can be removed easily without scrapping. And Slip coat also provide protection against corrosiveness of cargo bye product. Application of slip coat is just like a lubricant, As it is water soluble polymerized products. This product can be simply spray on the entire surface by manually or through spray machine. And after application of slip coat, Its removal is also very easy process. Only by using hold wash with water can remove all coating of SLIP-COAT. As before application of slip coat, Proper uses of hold cleaning chemicals like aquatuff high foam can save required qty of SLIP-COAT as hold block coating. slip coat and slip coat plus MSDS available with each and every drum. And MSDS also can be download through our website directly by using USER NAME and password. Ready stock of slip coat available with us at Gandhidham - Kandla, Mundra, Kolkata - Haldia, Visakhapatnam - Gangavaram, Chennai - Ennore, Mumbai - Nhava Seva, Surat in India and Fuajirah - Dubai, Sharjah in GULF - Middle East. 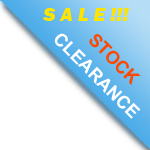 Also we are keeping ready stock of Muriatic Acid, Aquatuff High Foam, PCS, Coal Remover, Lime Remover, Alkaclean etc... Full range of marine chemicals. There are currently 5 users and 363 guests online.